yes... i baked with bacon again. do you guys find that gross or intriguing? do you think there should be a blog strictly devoted to baking with bacon!? if so, I AM ON IT. 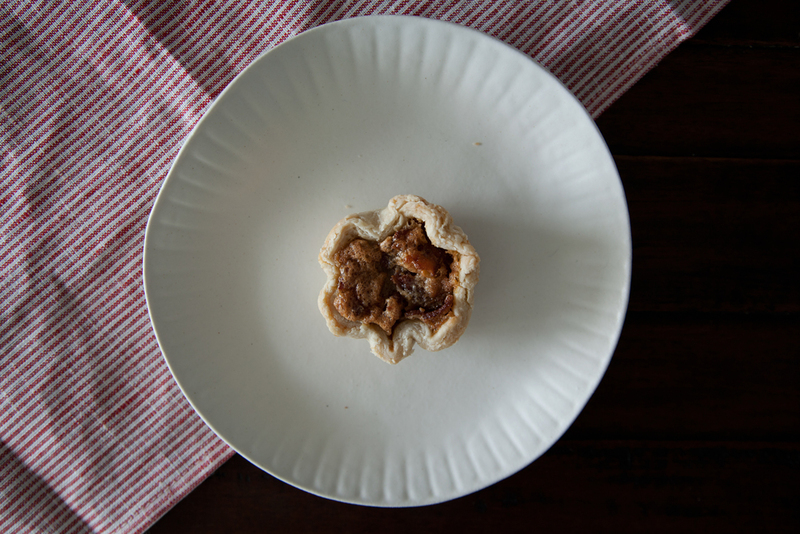 this maple bacon butter tart was inspired by my recent trip to port carling. the local bakery abbey's bake house sold these & i knew the moment i was back in my own kitchen i had to recreate it. if you are a vegetarian this recipe works perfect without the addition of bacon. you can substitute in nuts, raisins (sorry, ew) or whatever you desire. if you are not a vegetarian, then please stick to bacon. the crust recipe was given to me by one of my favourite instagram accounts milk&stone. this guy makes some killer looking pies & i needed his secret crust recipe! he was kind enough to give it to me PLUS let me share it with all of you. it is the first pie crust i have ever made using shortening instead of butter. in this particular recipe i would not use a butter based dough as the flavour would be overwhelming & a bit too much. i know, i'm sorry paula dean, sometimes there is a such thing as too much butter. happy long weekend! begin by making the crust. combine the flour, salt and sugar. cut in the shortening until the mixture is crumbly, then begin to work with hands. add in vanilla & water 1 tablespoon at a time as needed. shape dough into a disk, wrap in cling and refrigerate for one hour. well dough rest, make your filling. whisk sugar, maple syrup, vanilla, butter, eggs, vinegar and salt until evenly mixed. preheat your oven to 350 degrees as you roll out your pastry. roll out dough to 1/8 inch thick. using a biscuit cutter, cut into 12 circles. place each circle in a greased cupcake tin and shape. add a teaspoon of bacon to each tart then pour filling over until the tart is almost full. bake for 20-25 minutes (until filling begins to set).